bringing the movement to a small town near you. 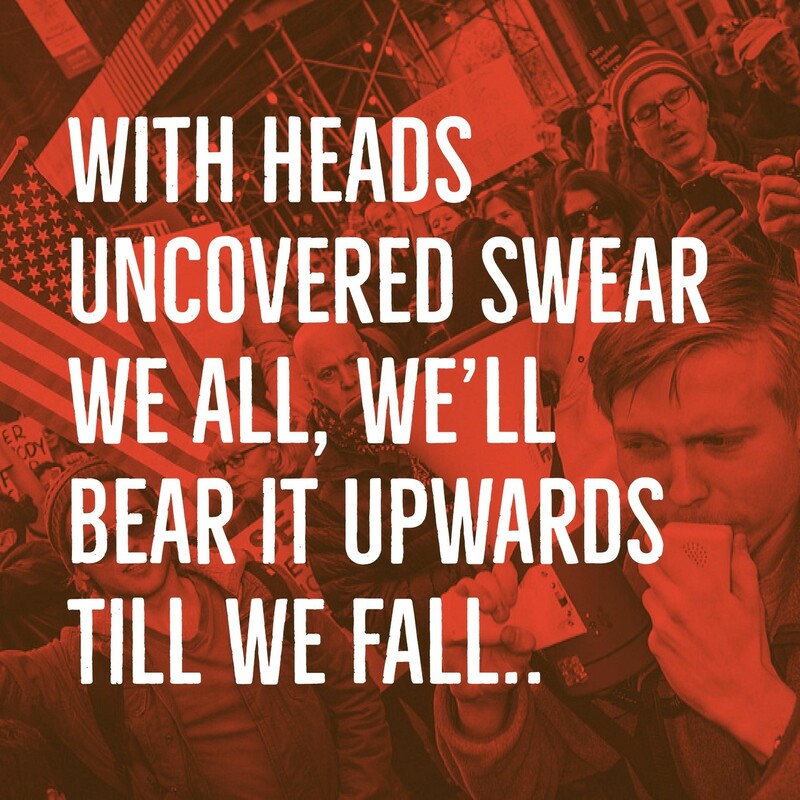 "With heads uncovered swear we all, we&apos;ll bear it upwards till we fall..."
Weird how all I have to do is mention Mastodon on my blog & a dozen new people show up. It's as if there's a lot of pent-up desire for an alternative. I wonder what Americans taste like. Actually, you know what. I don't want to know. the "Millenials Ruined X" headline: a modern, hyperpandering media take on "YOU DAMN KIDS GET OFF MY LAWN!" If we're going to eat the rich, we should put some thought into how we prepare them. Then I tell you about Nazis silencing teachers in America today. cmdr instance was down yesterday. Sad! Tonight I sat through one of the worst public meetings I ever have on the #RiceMemorialHospitalTakeover big healthcare coming in to squash unions and local control. Trying to organize a food co-op in my small town really highlights to me the immense risk of tech monopolies and the consequences of "disruptive" technology. Capital income is a major driver of wealth inequality, check out this great breakdown from the People&apos;s Policy Project. Looking for a platform co-op that shrinks links and tracks clicks, anyone got ideas? Elrond, dumb, hates free speech: "Cast it into the fire!" Me, enlightened centrist: "Have you tried reasonably debating Sauron?" tfw you&apos;re an early user of a platform and you can use only your first name as your username.